ISLAMABAD — U.S. peace envoy Zalmay Khalilzad said on Saturday that Washington was ready to “address legitimate concerns” of all Afghan sides in order to restore peace in Afghanistan. Since being appointed in September, Khalilzad has met with all sides, including the Taliban, Afghan officials and Pakistan's political and military leadership in efforts aimed at finding a negotiated end to America's longest war in neighboring Afghanistan. The Taliban currently control nearly half of Afghanistan, and are more powerful than at any time since the 2001 U.S.-led invasion. Saudis and Emiratis, who both have influence over the Taliban, are apparently pushing the insurgents toward concessions. Khalilzad took to Twitter on Saturday saying: "I see that many are concerned that the United States is willing to both talk and fight. Let me be clear: the US wants #peace." He said it was urgent that fighting ends in Afghanistan but "pursuing peace still means we fight as needed." Khalilzad is currently on a visit to Islamabad and has met with Pakistani Prime Minister Imran Khan and the country's powerful army chief Gen. Qamar Javed Bajwa to discuss how to restore peace in Afghanistan. 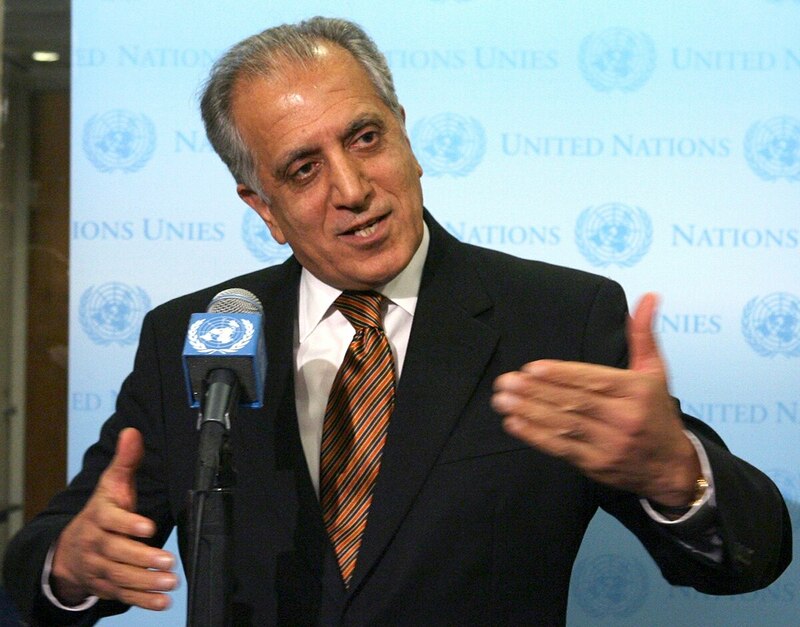 Khalilzad in his latest tweet apparently responded to his critics, as he spent the third day of his visit in Pakistan hoping for a breakthrough in his peace efforts. Khalilzad met with the Taliban last month in the United Arab Emirates, with Saudi, Pakistani and Emirati officials also participating. Kabul sent a delegation to the UAE but it did not take part in the talks at the time. Reports in Pakistani media suggest that efforts are under way by Pakistan to give a boost to the peace process by inviting the Taliban to Pakistan. A day before, Khalilzad briefed Pakistani leaders on his recent engagements in the region for an Afghan peace and reconciliation process. Pakistani leaders say they support for a peace process, which has suffered a setback because of the Taliban's persistent refusal to directly talk to the Afghan government in Kabul. However, Washington hopes that Pakistan can help end the conflict. Khalilzad has accelerated his peace efforts in recent weeks amid reports that the U.S. is planning to begin withdrawing its troops in the summer.